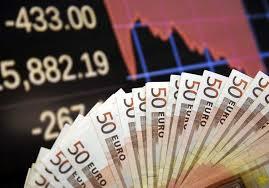 EUR/USD recovery gathered pace in Asia, but the momentum was not strong enough to push through 5-DMA hurdle at 1.11. ECB is not expected to tweak its policy tomorrow, however, markets would scan the policy statement and would be all ears for Draghi’s speech for clues regarding possible timing of the QE Taper. Experts believe QE Taper is unlikely to happen any time soon and Draghi is likely reiterate readiness to run the QE program as long as required. As for today, US-German bond yield differential, US housing data and Fed speak could influence the pair. The spot was last seen trading around 1.0985 levels.